Chevrolet Corvette at Tint Magic Window Tinting. 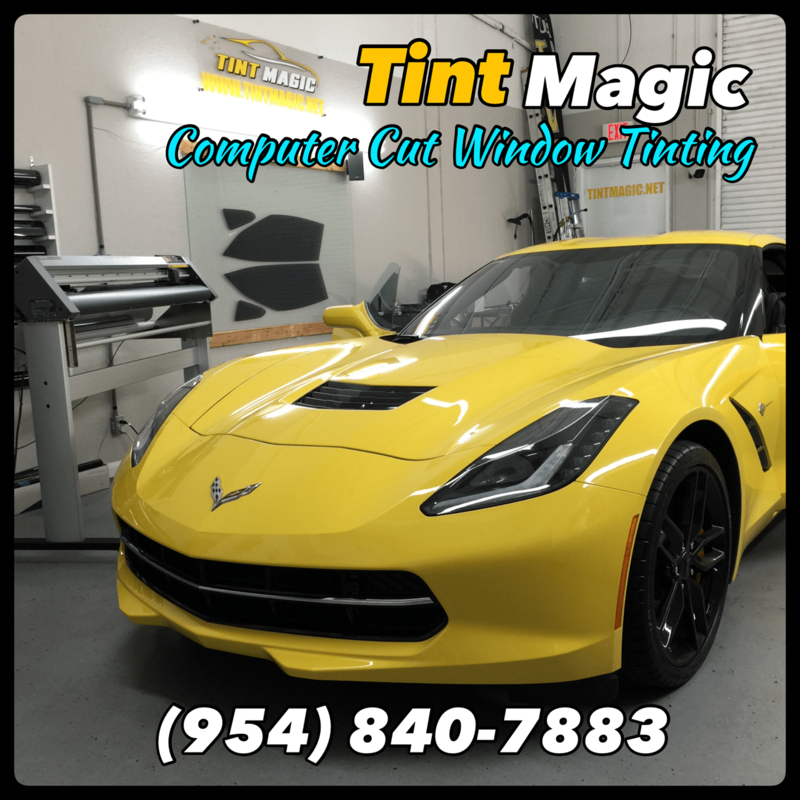 We use Computer Cut window tint software for a perfect fit. Call us for the best quality and service! (954)840-7883. The mighty Corvette truly competes with the world’s greatest sports cars, no excuses required. With a 6.2-liter V-8 making 455 hp and 460 lb-ft of torque (an optional sport exhaust is good for 460 hp and 465 lb-ft), an eight-speed automatic is now available in addition to the standard seven-speed manual. The Corvette sheds its unrefined reputation and has an interior befitting its stature. The Grand Sport is a 10Best winner, combining the LT1 V-8 with the Z06’s bodywork and chassis hardware.